How Do I Take Up a Tree Stump? It's pretty simple to dig up a stump, with just a little patience and perseverance! I've removed stumps of trees up to 9 inches diameter by hand. 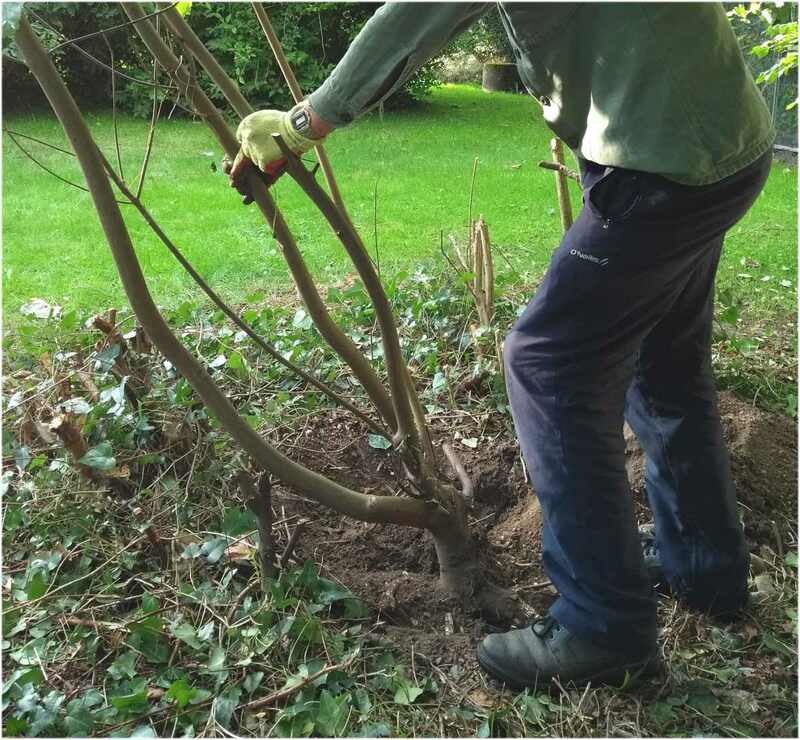 It's hard work, but bit by bit with some digging, cutting and levering, you'll loosen a stump's grip on the ground and get it out. 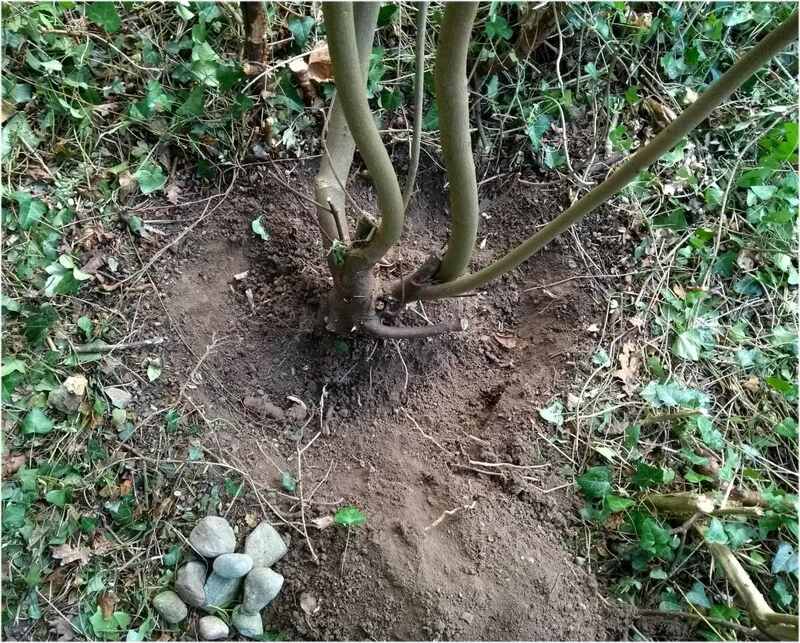 This is a very small stump I'm removing, but the same techniques can be used for larger stumps. 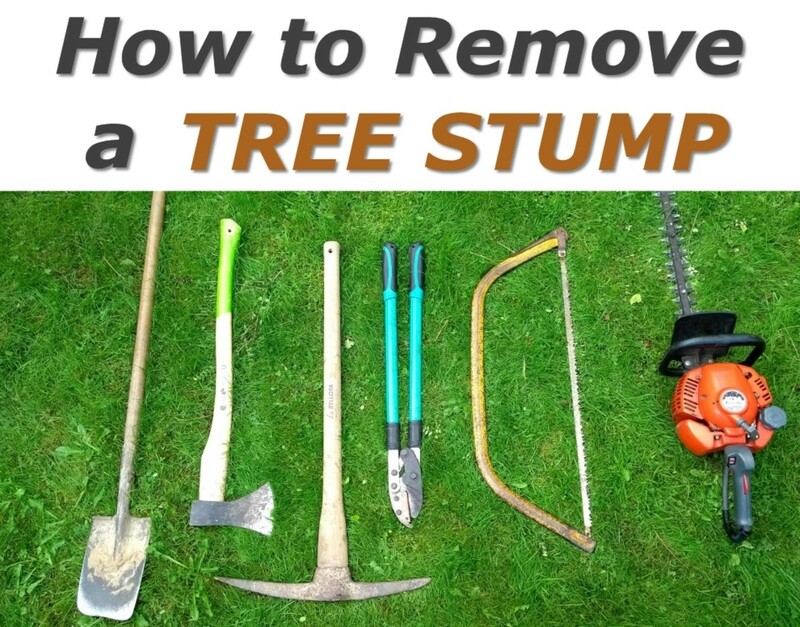 What Tools are Required to Remove a Tree Stump? 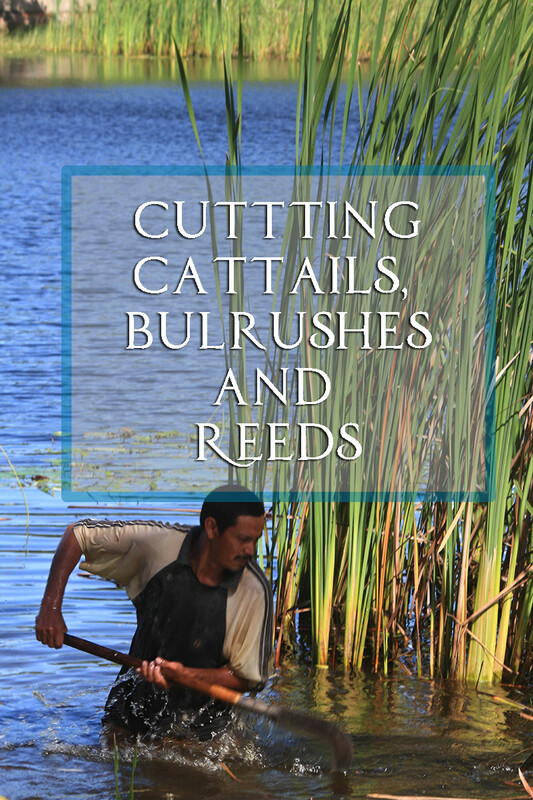 You can use either the axe, bow saw, spade or pick axe for cutting roots, whichever you find most convenient. I normally have them all to hand as I work. 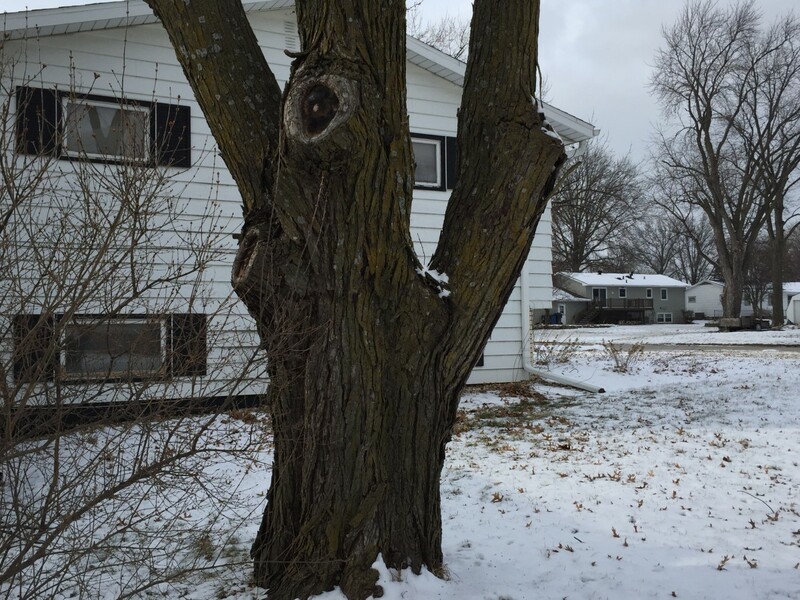 What Are the Steps to Removing a Tree Stump? 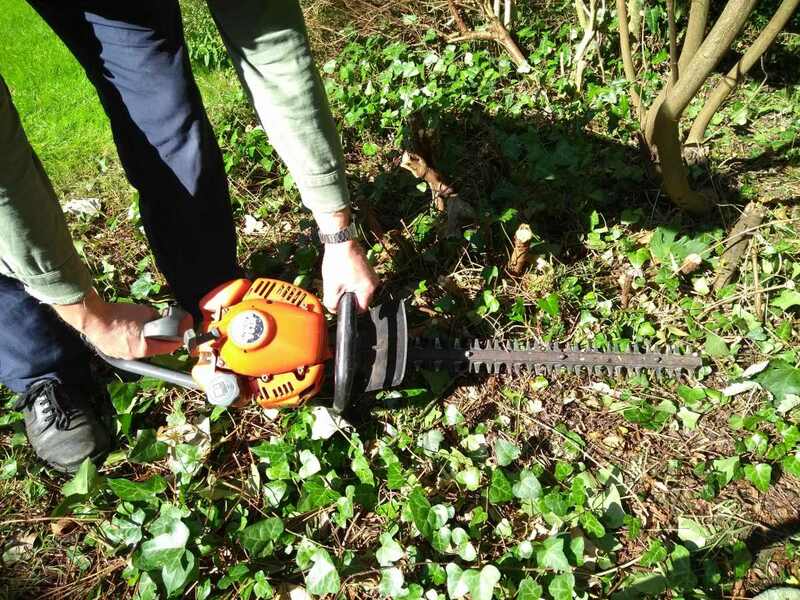 You can use a petrol hedge trimmer, loppers or manual hedge shears to remove unwanted, surrounding vegetation. This gives you space to work in comfort while removing the stump. 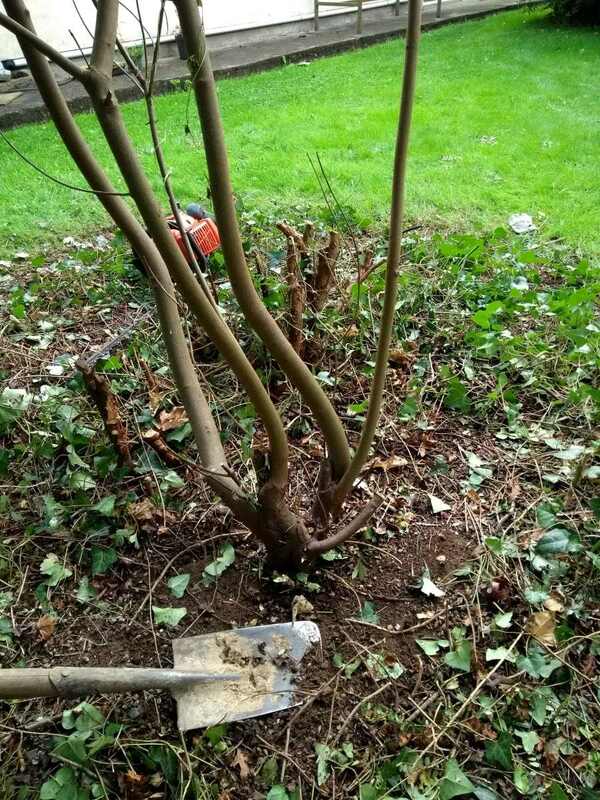 Cut any top growth of the tree but leave a section at about head height to act as leverage when rocking and twisting in an attempt to snap roots and pull up the stump. 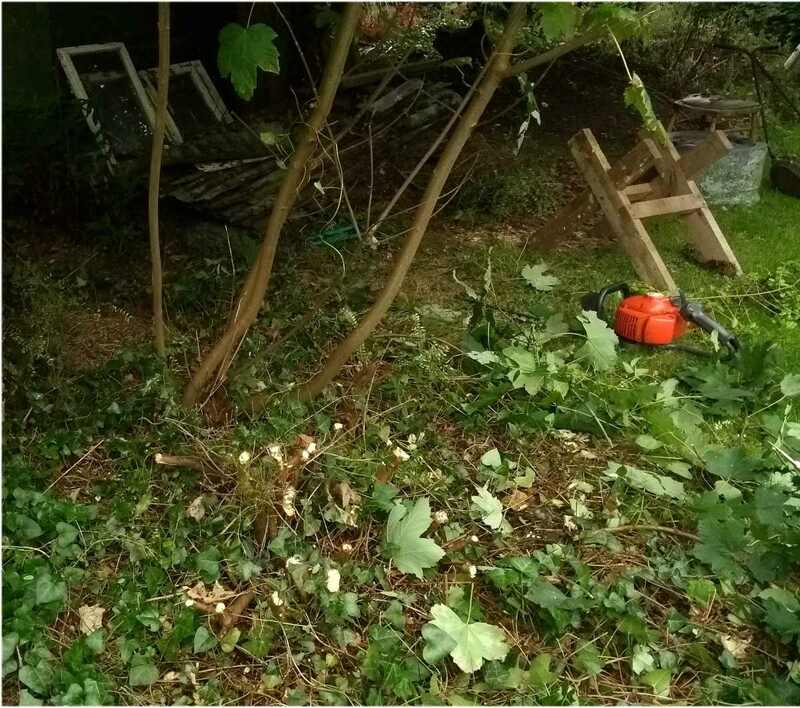 Again, you can use a petrol hedge trimmers, shears or string trimmer (strimmer) to cut away ivy, grass or other ground cover. Use the spade or a pick-axe if the ground is stony or caked hard. 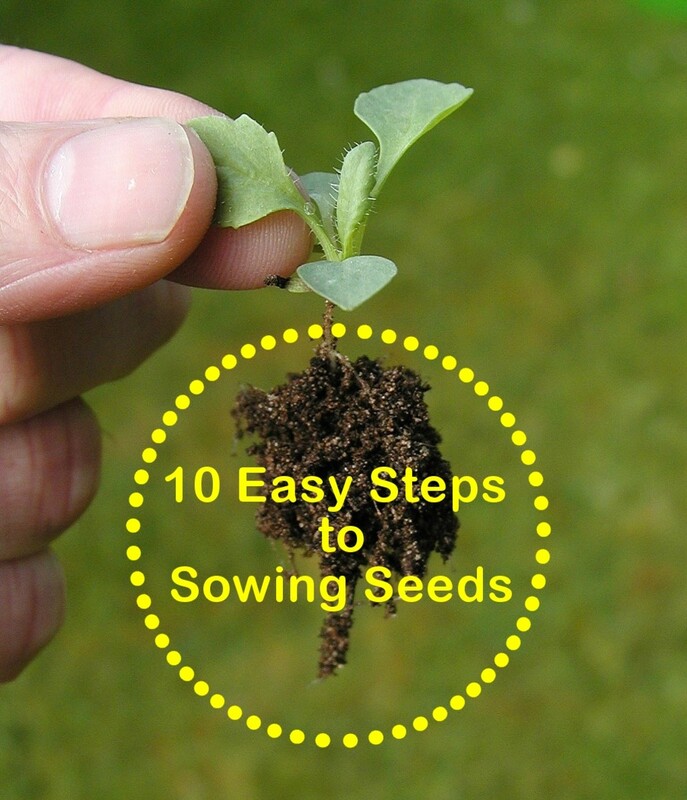 Leave the soil to one side in a pile. 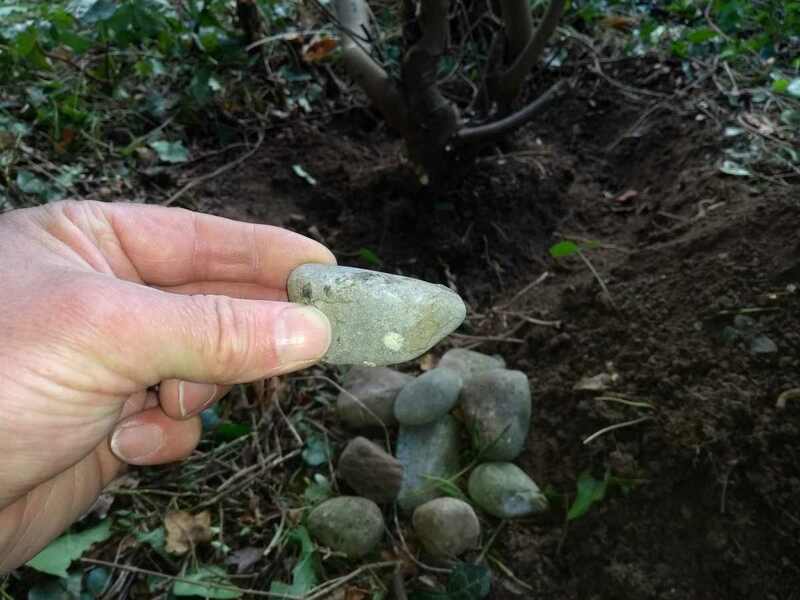 If you come across any stones or rocks, keep them because they're useful for drainage if you ever need to make a soak pit. Larger stones can be used in flower beds/rockeries or for making concrete. 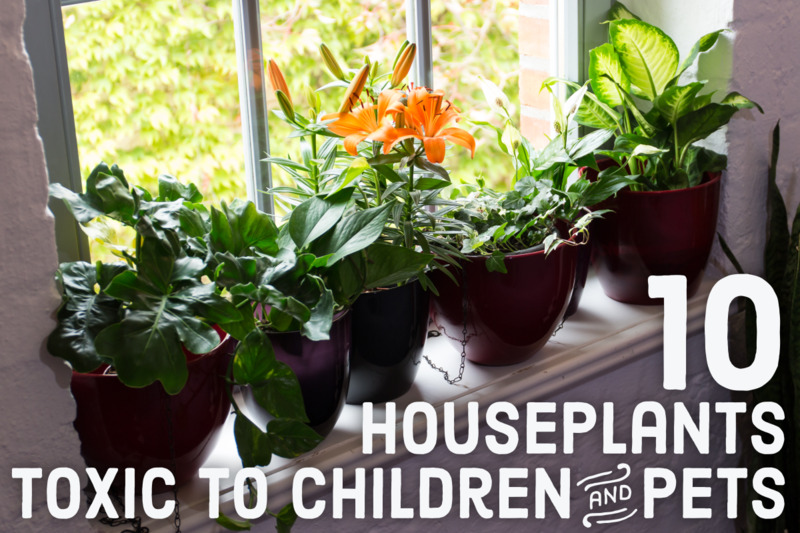 Try to clear soil from around and under the roots as it makes it easier to cut all the way through with a saw. 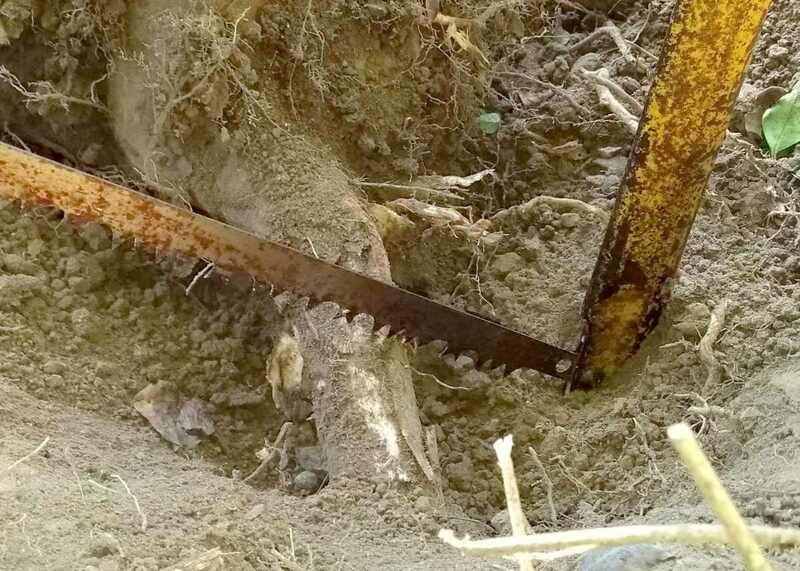 Once you clear soil from around the first root, you can cut it with a bow saw. Alternatively use an axe. Wear safety glasses or close your eyes as you strike the root because soil or stones can fly upwards. Swing the axe downwards or at such an angle that it can't hit you in the ankles if you miss roots near the surface. 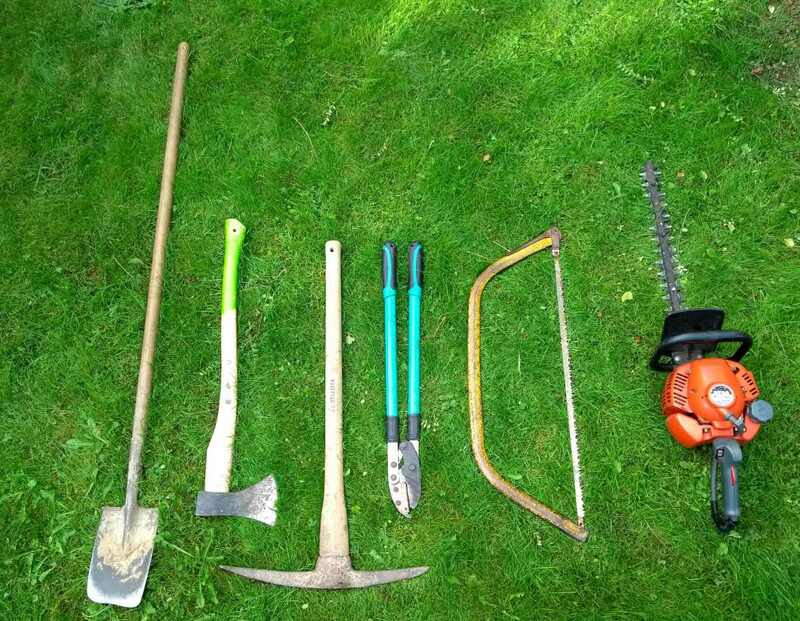 A pick axe or mattock can also be used to cut/lever under roots to lessen their grip on the ground. Work your way around the stump uncovering roots. Try to cut one more. 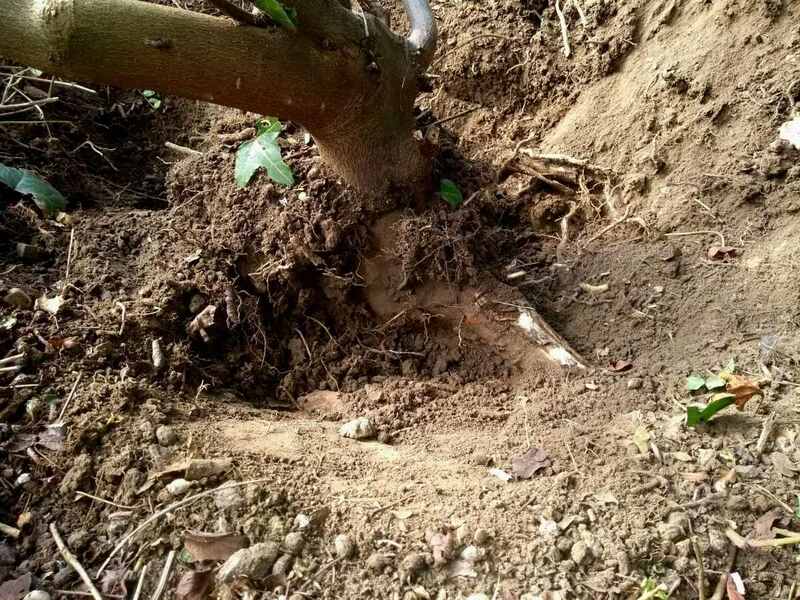 In the case of a small tree, once you cut two roots, it'll have lost some grip on the ground. Use the leverage of the trunk to rock it backwards and forwards. 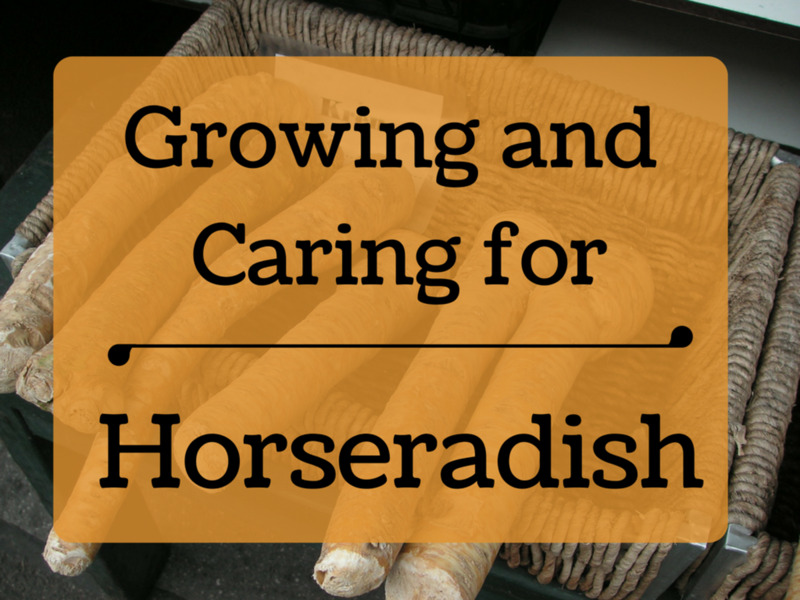 This may help to snap smaller roots. Continue to uncover, cut, rock and lever the stump. 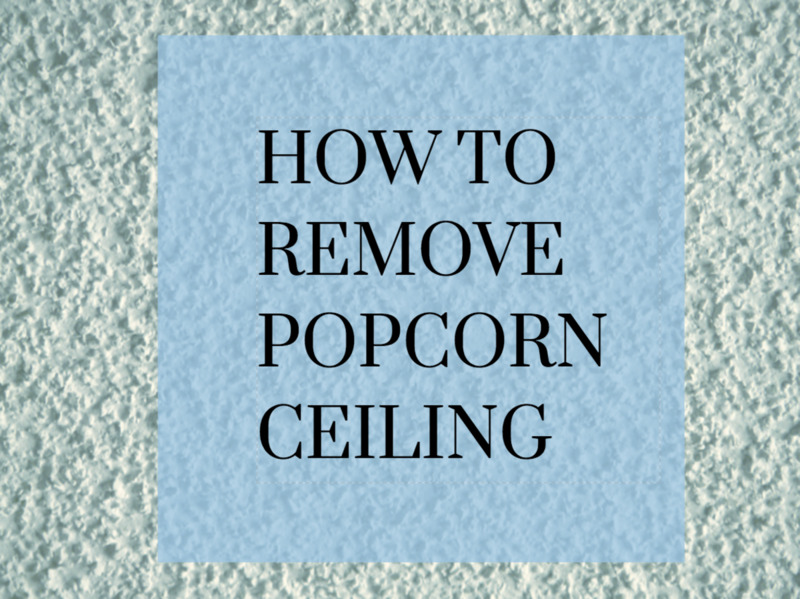 The idea is to reduce grip on the ground so that it can eventually be prised out. A spade can be used for gently prying, but the handle is easily be broken. 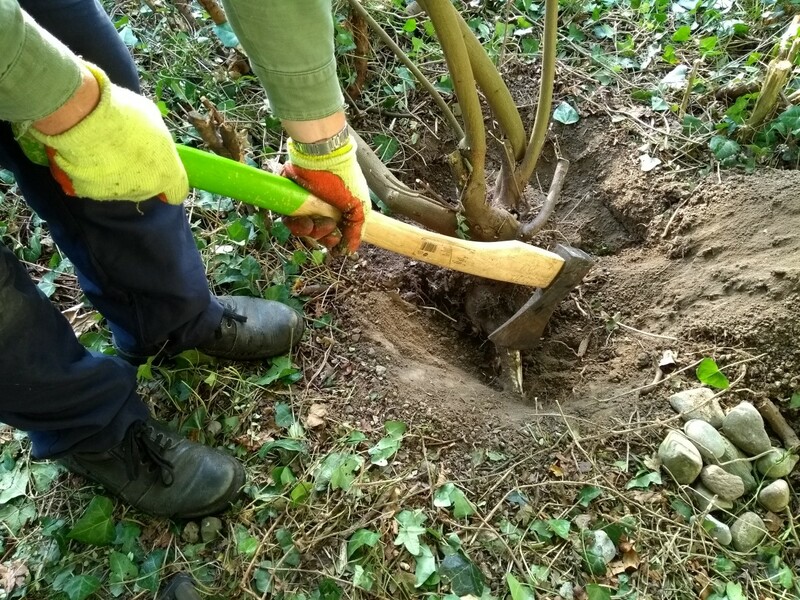 A pick-axe or mattock can also be used to cut side roots or lever under them so that they lose their grip on the ground. 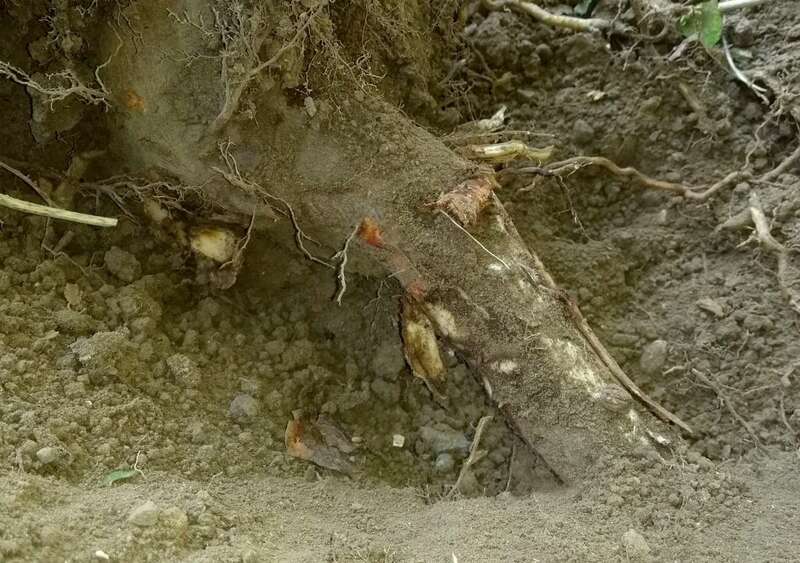 If a stump is large, there may be inaccessible roots heading steeply down into the ground. 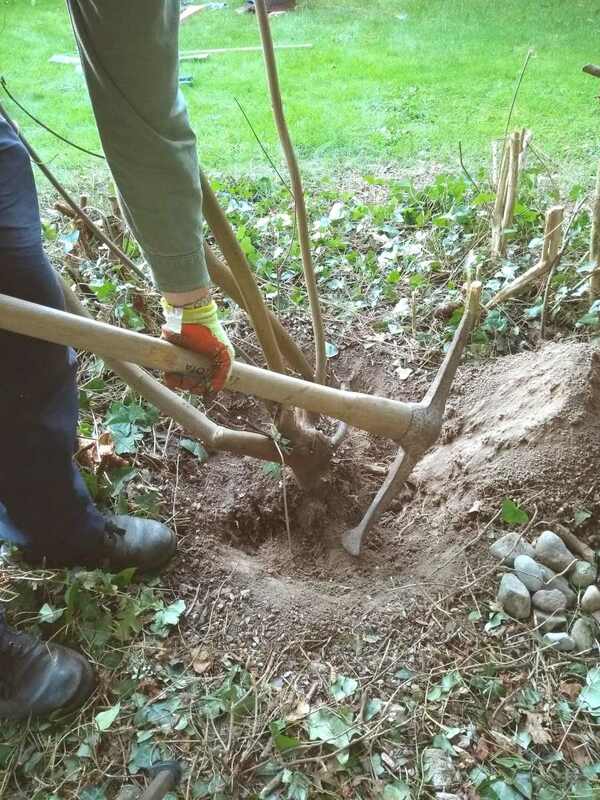 This is where a pick-axe/mattock is advantageous to cut roots and dig down under the stump and pry it upwards. A long steel bar e.g. scaffolding bar can also be used for levering the stump upwards. Use bricks or thick boards under the bar as a fulcrum or pivot point. Keep them as close to the stump as possible to maximise the lifting force. 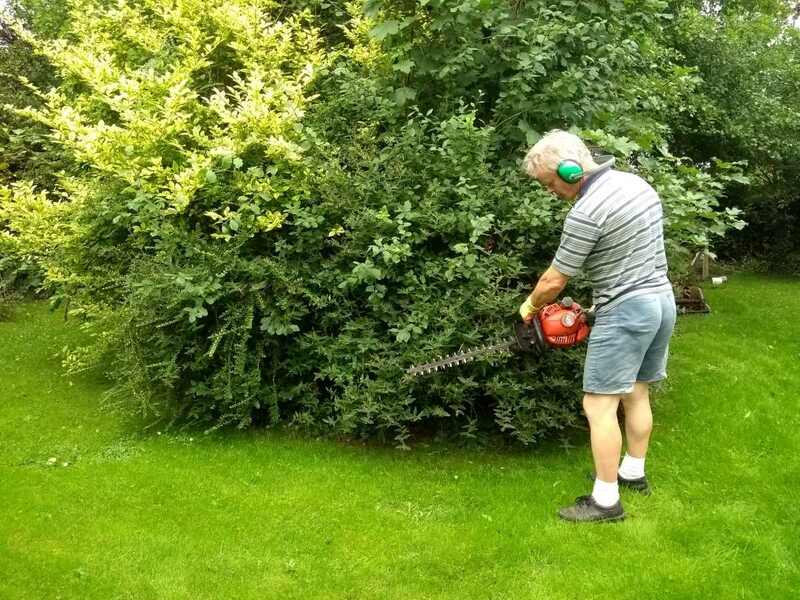 Don't attempt to cut flush to the ground with a chainsaw as you'll easily blunt or destroy the chain when it hits off stones and grit in the soil. Stump grinders are like large angle grinders on wheels and can be used to grind stumps to just below ground level. 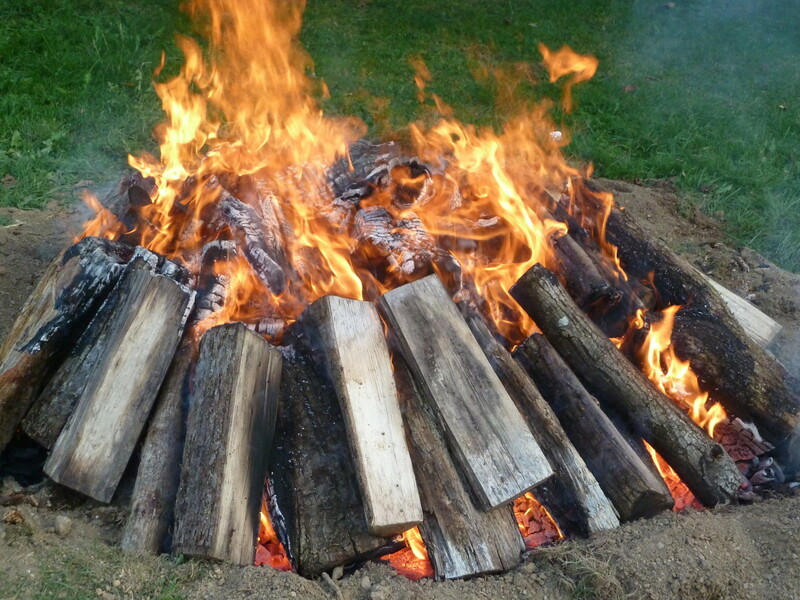 In general, the procedure is to cut the stump using a chainsaw to within about 4" (100mm) of the ground surface. 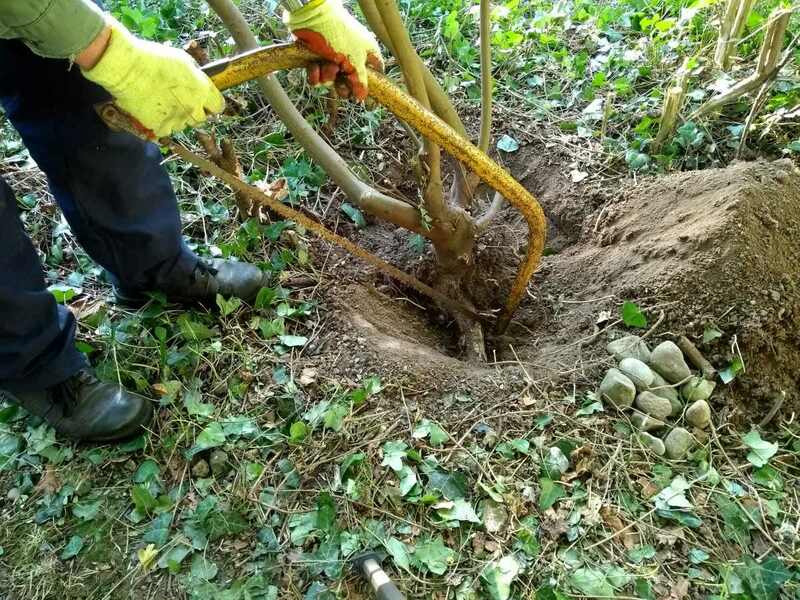 The grinder is then positioned over the stump, powered up and the grinding blade is swung backwards and forwards over the stump so that it grinds away the top, slowly reducing it in size. Fantastic post! Indeed, when removing a stump manually, it's quite hard than using a stump grinder machine. Your post is very good for both pros and beginners. Nice tools, and you showed that everyone should safety gears. Good job! Removing a stump always such a struggle. Thanks Peggy! I really need to find some bigger trees to show the growth behavior of roots in the ground. 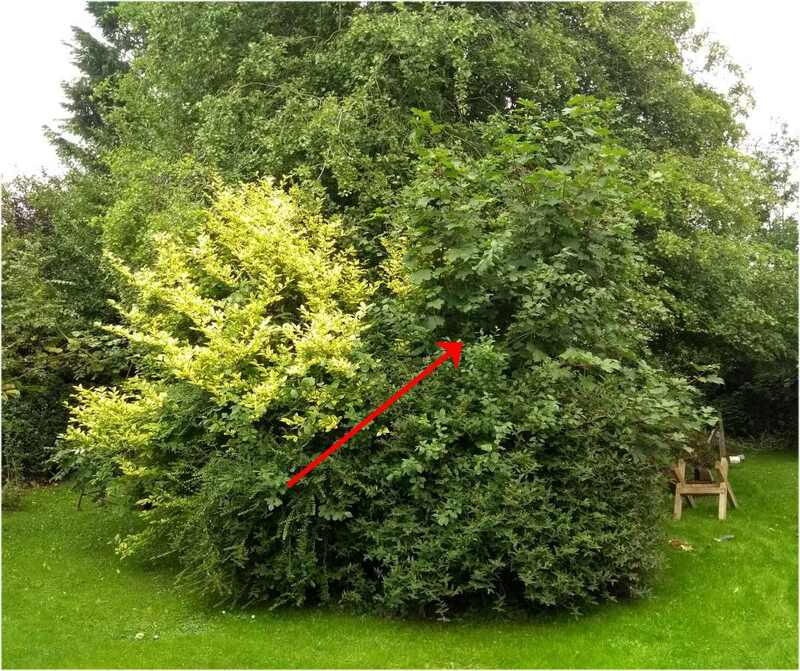 Some damson trees in the garden might be good candidates. You gave good directions regarding the removal of tree stumps that are not yet too large. 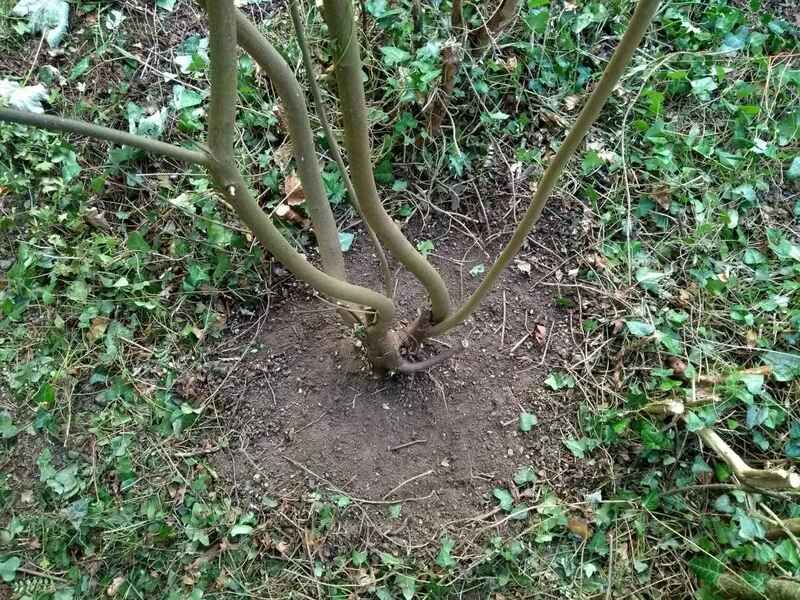 We have rocked many shrubs and trees out of the ground in the same manner over the years.